Located on two full corner lots, this 2-bedroom 1-bath home features a good-sized back yard, and large detached garage. Newer roof and maintenance-free siding. Close to school. 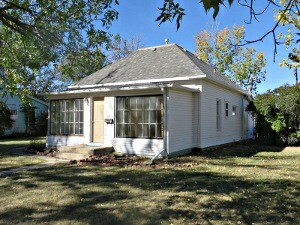 Would make a nice small-family home, or a rental investment. Priced at $77,000. Call us today!